About a year ago I started this blog for the same reason. Meaningful dialog, such as this from all sectors (well-represented workforce, nonprofit, and governmental leaders and education voices, combined with STEM-knowledgeable experts) is essential to establish a Louisiana STEM agenda that could impact many programs leading to much needed STEM talent development described. 7. And of course, resource allocation for facilities, technology, curriculum, or teaching resources for PK16 classrooms. 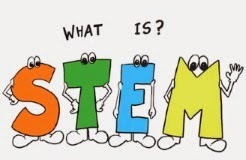 A How can Louisiana better equip its citizens for future STEM positions? Occupations in the fields of Science, Technology, Engineering and Math (STEM) are projected to grow by nearly 10% over the next five years. Experts estimate Louisiana alone will have 69,000 STEM job vacancies by 2018. But who will fill these positions? Nationwide, more than 300,000 jobs are currently being left vacant because employers can’t find individuals skilled enough in STEM. In Louisiana, 40% of eighth-graders report never designing a science project. Only 3% of high-school seniors take advance college placement tests in science. While male students have shown a recent increased interest in STEM, Louisiana females’ interest has been decreasing since 2008. So, how can Louisiana better equip its citizens for future STEM positions? Are Louisiana’s educators adequately prepared to teach STEM courses? And how can students be encouraged to pursue STEM careers? Louisiana Public Square looks for answers to these questions and more on “STEM Status: Science, Technology, Engineering & Math in Louisiana” airing Wednesday, June 26 at 7 p.m. on LPB HD. This program is made possible in part through a grant from Dow Chemical Company.